Use at your own risk. I am not responsible if you break your Onewheel, injure yourself, someone else, or burn your house down. 4.5 Step 5: hook it all up! You have to choose what’s most important to you. Every option has tradeoffs on price, weight, capacity, and safety. 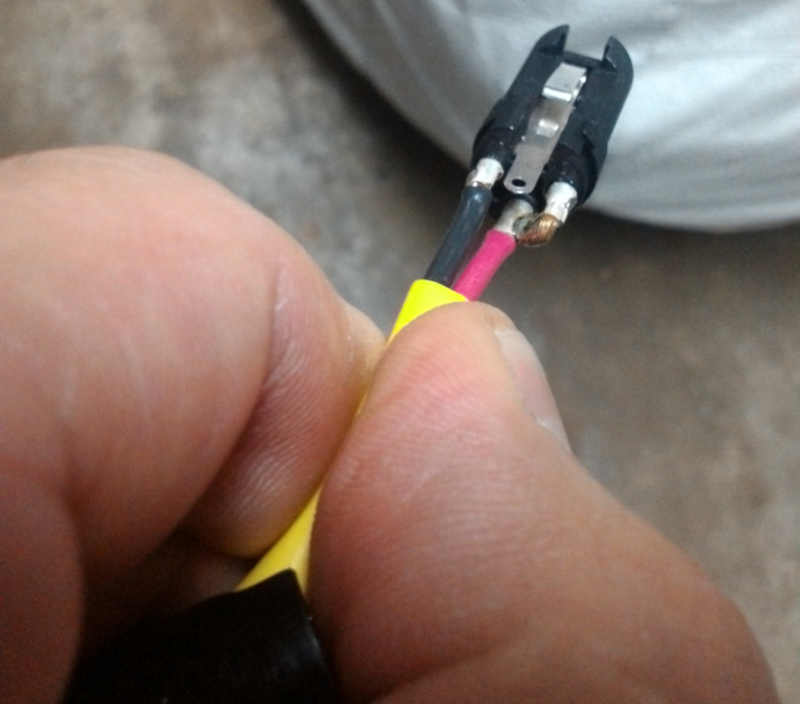 - The cheapest DIY solution is the most technical. Requires soldering. 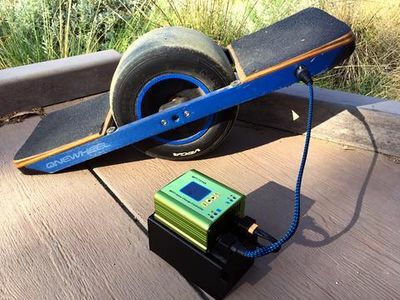 This charger uses a 36v 4.4ah hoverboard battery to charge the Onewheel. A solar charge controller boosts the output of the battery to the 58V 3.5A required by the Onewheel. One battery provides one charge, and the Onewheel wall charger is not necessary. A separate AC charger is provided to recharge the portable battery. The controller is attached to a mount which slides on to the battery case, making it easy to switch between multiple batteries. The total weight of the controller and one battery is 4lbs. The idea is to use an AC battery pack with the standard Onewheel charger. The idea is to use a solar charge controller to upconvert a portable battery’s voltage to the 58V that the Onewheel expects. 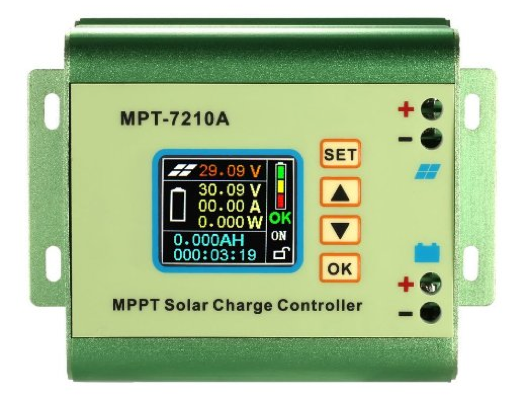 The solar charge controller is typically used to charge a battery via a solar panel. However in this case, your portable battery takes place of the solar panel and your Onewheel is the battery you’re charging. Make sure you protect your battery with something soft in case you wipeout while riding. I suggest packing foam. Safe. This is the same kind of battery that the Onewheel uses. Packs require protective case for safety, should be charged in a safe location etc. You also need a way to charge your portable battery. To be safe, buy a battery pouch and only charge when you’re near the charger and awake. 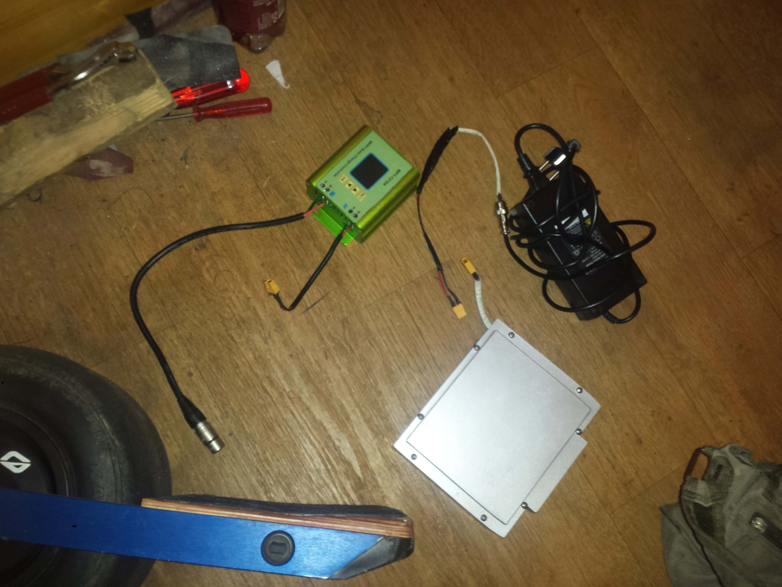 The output of the solar charge controller must match the output of the Onewheel charger. Your settings should look something like the photo below. The first line is for monitoring your supply battery, it is not critical if this is incorrect. Set the first line (where it says 32.5V) to the minimum voltage of your battery. 32V is generally a safe setting for a 36V-rated battery. 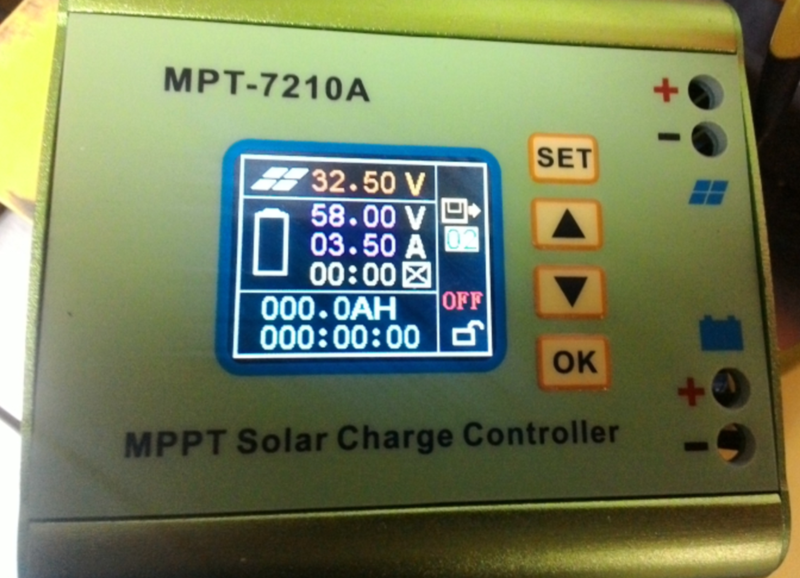 The critical settings are on the second and third lines (Target voltage (58V) and Amp limit). If the voltage is set incorrectly, the battery will overcharge or may not fully charge. The stock charger supplies 3.5A. If you are using a 36V battery, you will not be able to exceed 3.5A. 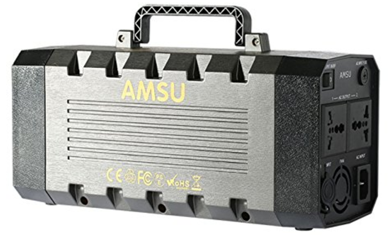 If your supply voltage is 50-60V, you will be able to charge the OW at a higher rate. Limited testing has been done on fast-charging, but there do not appear to be any major drawbacks (cycle life and warranty may be affected). Remember! 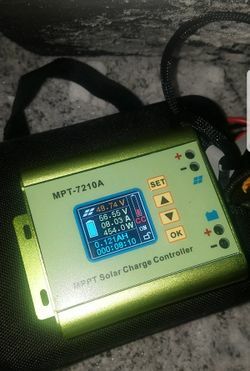 The battery pack should be on the solar panel label and OW on the battery label on the solar charge controller. Never charge your batteries while they are cold!!! 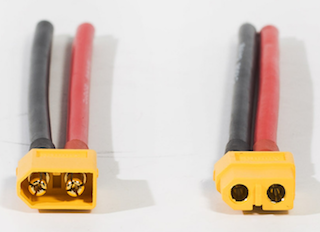 The Onewheel’s XLR plug requires a different wiring than the off-the-shelf XLR plugs. Unfortunately, that means you have to do some soldering. Below is the correct configuration. 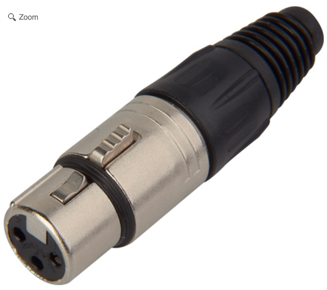 Notice the positive wire is connected to *both* pins 2 and 3 of the XLR plug. If you want to verify this yourself, you can easily open the Onewheel charger’s XLR plug. Step 5: hook it all up! Sometimes the OW does not go into its charge mode automatically. Simply press the power button in this case. When you’re done charging, I suggest turning off the solar charge converter first before unplugging anything. Then disconnect the battery. Then unplug from Onewheel. Charging Onewheel to 100% is safe. You’ll see the amps ramp down on the solar charge converter display as you enter “trickle charge” mode. But you’ll want to disconnect soon or it’ll just slowly drain your battery.